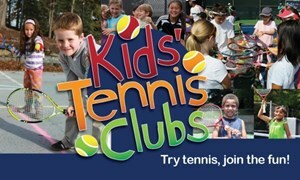 Bridge Street Rec Center meets monthly for after school 2015 Kids Tennis Club. Ages 6-12 welcome. Equipent and FUN provided. No tennis experience necessary. 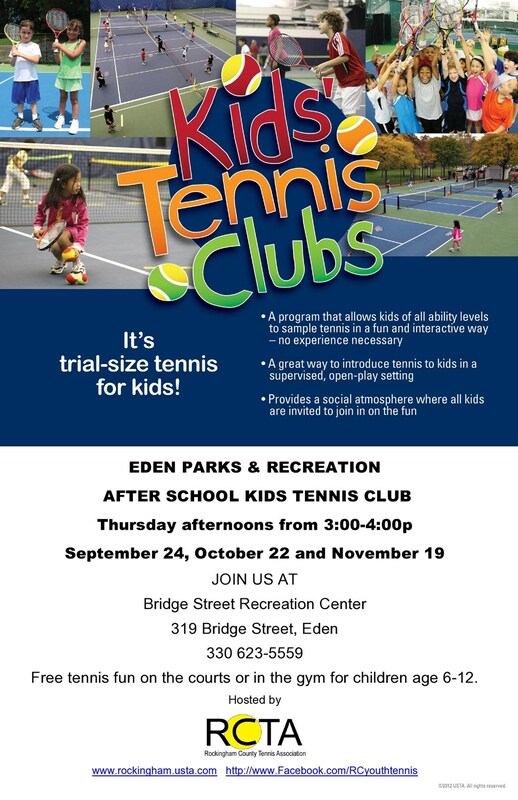 Eden Parks & Rec will host host monthly Wednesday afternoon RCTA Kids Tennis Club on the courts at Bridge Street Recreation Center from 3-4pm. For more information on the Bridge Street Rec Center, call Trish Scales at (336) 623-5559.